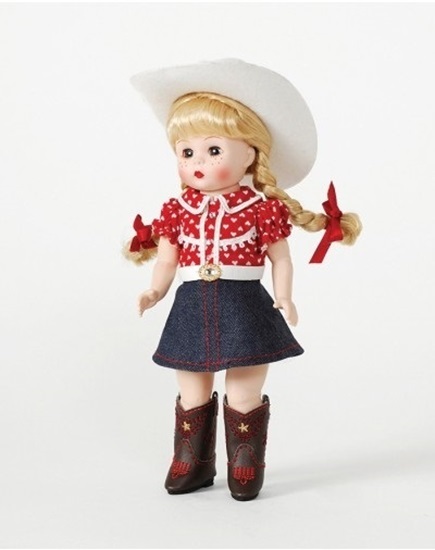 In the tradition of our country's strong pioneer spirit, Boots and Bling Wendy doll is dressed as a classic American cowgirl! She is precious with braided pigtails that hang from her white cowgirl hat. Wendy is stylish in a western ensemble and traditional cowgirl boots, ready to help out on the ranch or saddle up her favorite pony. Made of vinyl, she is 8 inches tall and five-way jointed for hours of fun play. Suitable for ages 14 and up.